“I started practicing Pilates in 2014 but took some time off at one point. During that time, I looked for other things to try but I could never find anything that could really replace it. Pilates works on the whole self: mind, body, and being. It was the only thing I really liked, and I never got bored of it. I’m a visual and auditory learner so having an instructor to guide me and let me know how I should be moving has been really helpful. The change Pilates has given me has been wonderful; you are able to become very much in tune with yourself. It’s a pretty remarkable thing to realize that everything you need, you already have. With Pilates you realize that everything in your body has a job. There is a new level of awareness and my body feels connected now. I am able to use the tools that I have, that I was born with, and I don’t feel the same competitiveness as I did with other forms of exercise. Since I started Pilates, I feel that I am able to stay committed to a lot more. It isn’t a practice where you go just a few times and then you’ll be great at it. It is progressive and non-judgemental, it’s just you and that’s all you have to care about. The amount of work you have to put in makes it so worth it. Everyone wants to get better, or thinner, but at the same time, Pilates has shown me that the most important thing is to just do the thing that really works for you. Hearing my friends talk about working out and how seemingly awful the experience or gym session was, well that’s not inspiring. I wouldn’t want to keep doing that. The huge difference between Pilates and most other forms of exercise is that normally you go into it expecting it to hurt. 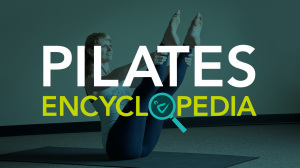 That’s not Pilates. It doesn’t hurt and shouldn’t hurt in that way. Most people don’t even know that something like this exists. It works your muscles, but there isn’t any discomfort.